Yes, it's C-O-L-D, but that shouldn't keep you from enjoying the outdoors. 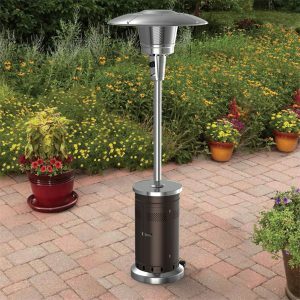 There are plenty of ways to extend the season of your outdoor living space. 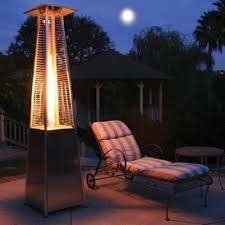 From fire pits and fireplaces to outdoor heaters to blankets, you can stay warm and enjoy those starlit nights even in January. 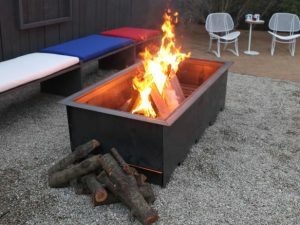 A wood burning fire pit serves as a great gathering spot for those who enjoy sitting close to the heat source. It's easy to circle around the pit with a cup of hot chocolate, a glass of wine or a good sipping bourbon. 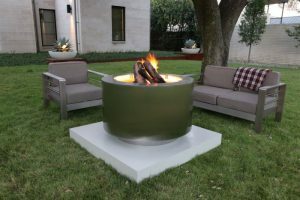 Even if most of your group is inside, once they see that fire lit, they will gravitate to the outdoors. Options are enormous and there's something for every style and taste. 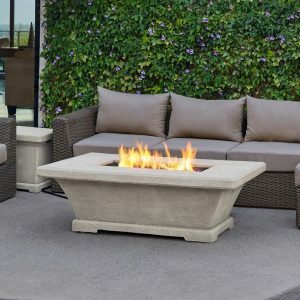 Wood burning fire pits aren't for everyone. 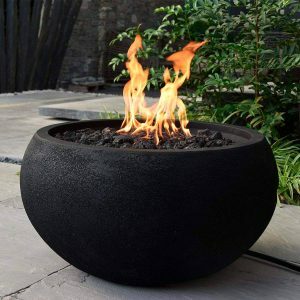 For those who are looking for a little more ease when it comes to lighting the fire, keeping it going, turning it off and clean up, gas fire pits are probably the right option. 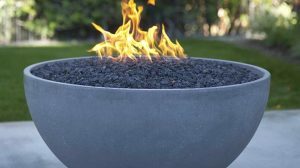 The biggest obstacle with a gas fire pit is trying to decide on one of the many options. 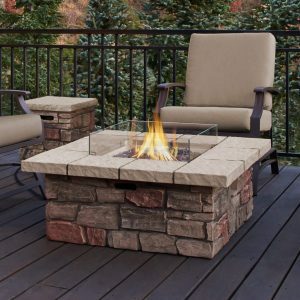 Outdoor Fireplaces are yet one more option to bring some heat into your outdoor living space. The create a very grand setting and are perfect for large areas, especially in areas where outdoor kitchens exist. 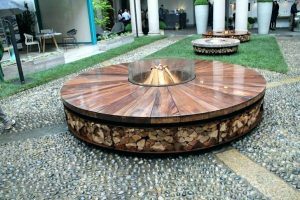 With an option of wood burning and gas, the selections are varied. 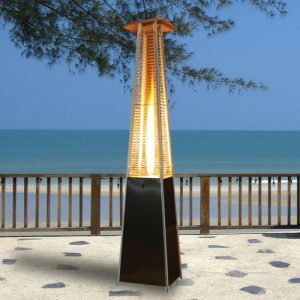 We've all seen the outdoor heaters at restaurants with outdoor seating, and while the ambiance doesn't come close to that of a fire pit or fireplace, these heaters definitely serve their purpose and may be the best fit for you. And with their rising popularity, the style choices are becoming more extensive. 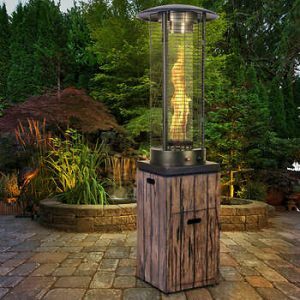 And while heat sources are your best options for staying warm outdoors during the winter months, you also warm up with decorative items. Throw some cushy blanks on your furniture and invite your friends to wrap up. Put a rug on your deck or patio to help keep feet warmer. Decorative screens and enclosures can keep the wind out and limit exposure to the elements. Yes, it’s C-O-L-D, but that shouldn’t keep you from enjoying the outdoors. 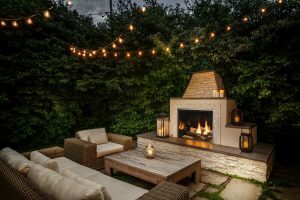 There are plenty of ways to extend the season of your outdoor living space. 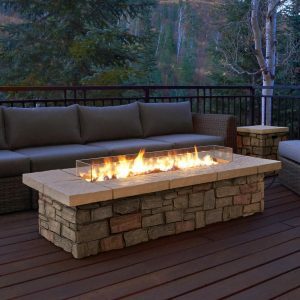 From fire pits and fireplaces to outdoor heaters to blankets, you can stay warm and enjoy those starlit nights even in January. 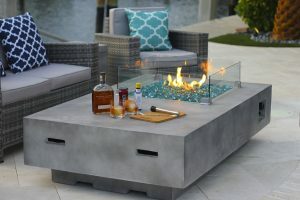 A wood burning fire pit serves as a great gathering spot for those who enjoy sitting close to the heat source. It’s easy to circle around the pit with a cup of hot chocolate, a glass of wine or a good sipping bourbon. 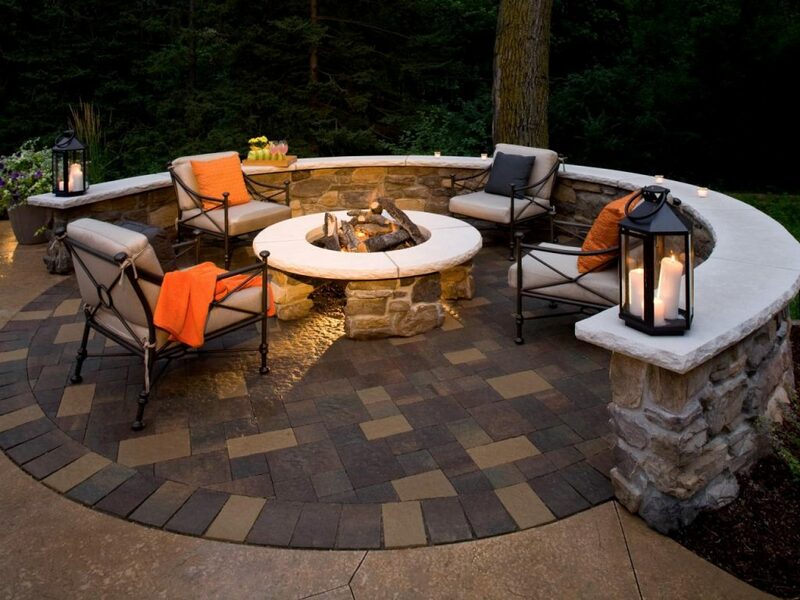 Even if most of your group is inside, once they see that fire lit, they will gravitate to the outdoors. Options are enormous and there’s something for every style and taste. 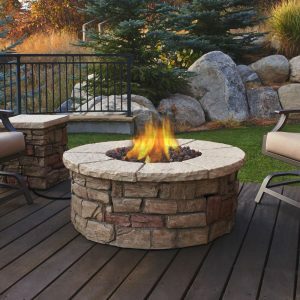 Wood burning fire pits aren’t for everyone. 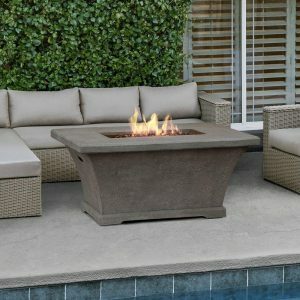 For those who are looking for a little more ease when it comes to lighting the fire, keeping it going, turning it off and clean up, gas fire pits are probably the right option. 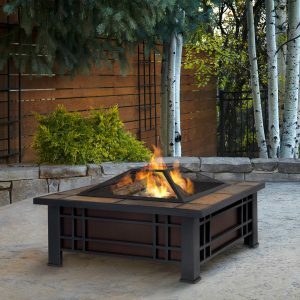 The biggest obstacle with a gas fire pit is trying to decide on one of the many options. 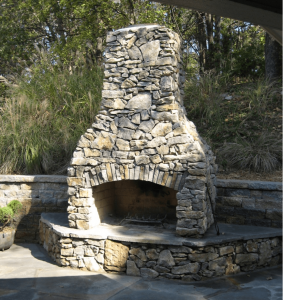 Outdoor Fireplaces are yet one more option to bring some heat into your outdoor living space. 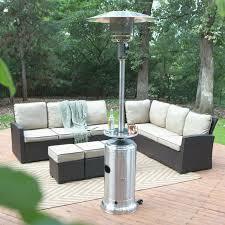 The create a very grand setting and are perfect for large areas, especially in areas where outdoor kitchens exist. 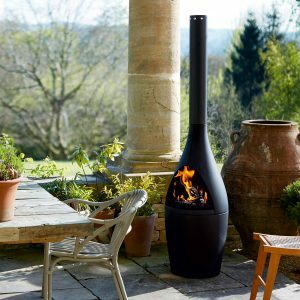 With an option of wood burning and gas, the selections are varied. 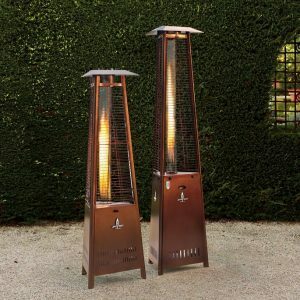 We’ve all seen the outdoor heaters at restaurants with outdoor seating, and while the ambiance doesn’t come close to that of a fire pit or fireplace, these heaters definitely serve their purpose and may be the best fit for you. And with their rising popularity, the style choices are becoming more extensive. 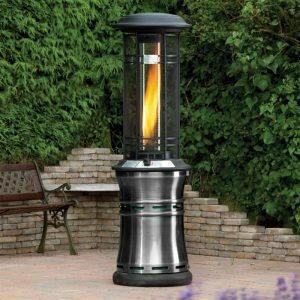 And while heat sources are your best options for staying warm outdoors during the winter months, you also warm up with decorative items. Throw some cushy blanks on your furniture and invite your friends to wrap up. Put a rug on your deck or patio to help keep feet warmer. Decorative screens and enclosures can keep the wind out and limit exposure to the elements.